In this ProWritingAid review, I'll explain how this grammar checker can help you become a better writer. 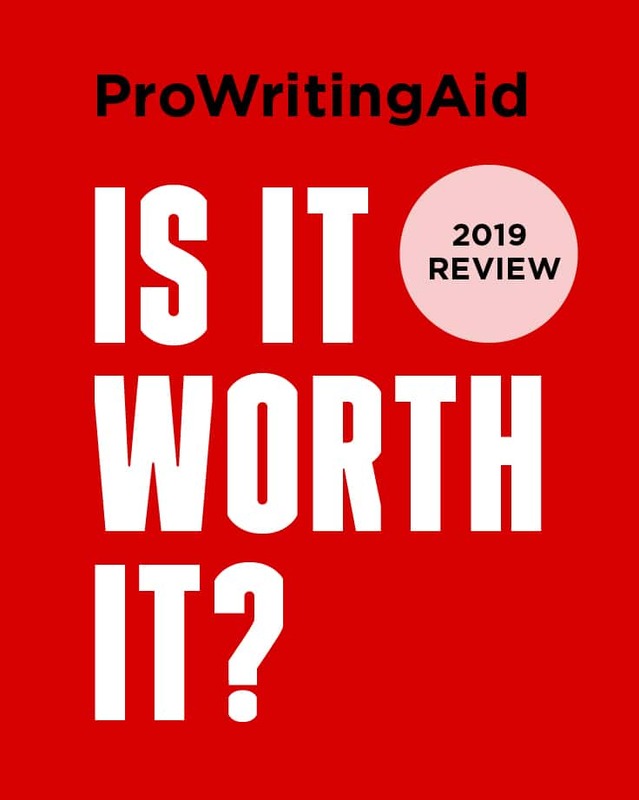 I'll also answer the question: is ProWritingAid worth it? I've also got details at the end of the post about a free book from their team that will help you become a better author. And you can claim a discount on this grammar checker. Please note, this post contains affiliate links meaning I earn a small commission if you sign up. However, you can claim an exclusive 25% discount. I only ever recommend products I use. But first, why did I write this article? Well, after receiving several requests from readers, I wrote this 2019 ProWritingAid review so you can see if it will help you become a better writer. I'll also explain how ProWritingAid differs to some of the other premium grammar checkers available today. ProWritingAid is a premium grammar checker for bloggers, novelists and business writers. It will help you eliminate errors, find the right words and edit your writing faster. ProWritingAid is available via your web browser, for Windows and Mac. It also supports Word, Google Docs and, interestingly, Scrivener. At the time of writing this review, the company doesn't offer dedicated apps for iOS or Android. Although anyone can use this grammar checker to improve their work, it's particularly suitable for fiction writers. We've even been told that Stephen King uses ProWritingAid, but we haven’t been able to confirm this. (If you happen to meet him at a party, please ask.) We do know that he, like us, is not a fan of adverbs! I will explain more about why fiction writers will find this grammar checker particularly useful later in this 2019 ProWritingAid review. You can use ProWritingAid to check your work for grammar and spelling mistakes. It will also help improve the readability of anything you write. I've tested several other grammar checkers and they rarely provide this amount of information. You can claim a 25% discount on these prices. Unlike other grammar checkers, you don't have to pay a monthly subscription. It's also more affordable than other premium grammar checkers which typically cost €20-30 per month. The plagiarism checker costs extra. Ten checks cost $10 or $10 per month and 100 cost €40. Alternatively, you can buy ProWritingAid Premium Plus, which includes 50 checks per year. That costs an extra $10 or €10. It isn't free but you can request a 14-day trial and decide if it's right for you. You can also claim a 25% discount. If you're unsure about ProWritingAid, but still want to try it, they offer a 14-day refund policy. 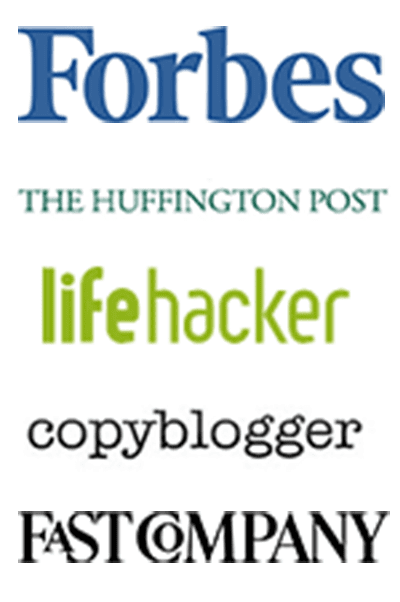 I write a lot of nonfiction articles for publications like Forbes. While writing this ProWritingAid review, I changed my writing workflow and saved time. I opened my source file in the desktop app and edited my documents directly, without any copying and pasting. I write my articles in Markdown using IA Writer. This process simplifies adding basic HTML to reviews and articles like this one. I was pleased to see I could import Markdown documents into ProWritingAid. However, it doesn't convert Markdown file to a publishable format or enable a live preview. It's also not possible to create a library within ProWritingAid of your documents. This grammar checker struck me as a tool ideal for fiction writers and novelists. Well, premium grammar checkers like Grammarly and Ginger restrict the number of words you can scan at once. This means, you can only check an entire book on a chapter by chapter basis. However, ProWritingAid allows you to open up documents of any size, like your book, and check it all at once. Similarly, its ability to check a piece of writing for clichés, readability, vague and abstract words is a useful feature for writers who want to create more readable stories. Please note, the desktop app only works while connected to the internet. So if you like to write offline, you must reconnect while using this tool. I tested ProWritingAid in two ways on my new book. I uploaded a 45,000+ draft of my new book to ProWritingAid as a Word document. If I wanted to do this with another tool, I'd have to upload individual chapters into ProWritingAid. After a few minutes, the app completed a scan and identified 261 errors to fix. It also provided a report with other suggestions. ProWritingAid also prompted me to scan individual sections of my book rather than the entire manuscript. Unfortunately, the various ProWritingAid reports slowed down with a manuscript of this size, compared to when I checked individual chapters or articles. I guess it takes a while to analyse longer pieces of writing. Checking an entire manuscript at once wasn't faster than checking chapters on an individual basis. I opened my new book's Scrivener project with the desktop app. I'd enjoyed more success with this method. It didn't slow down and provided lots of useful suggestions for improving my manuscript. I also liked that I could save changes directly back into my Scrivener project. I intend to use ProWritingAid on any future Scrivener projects. 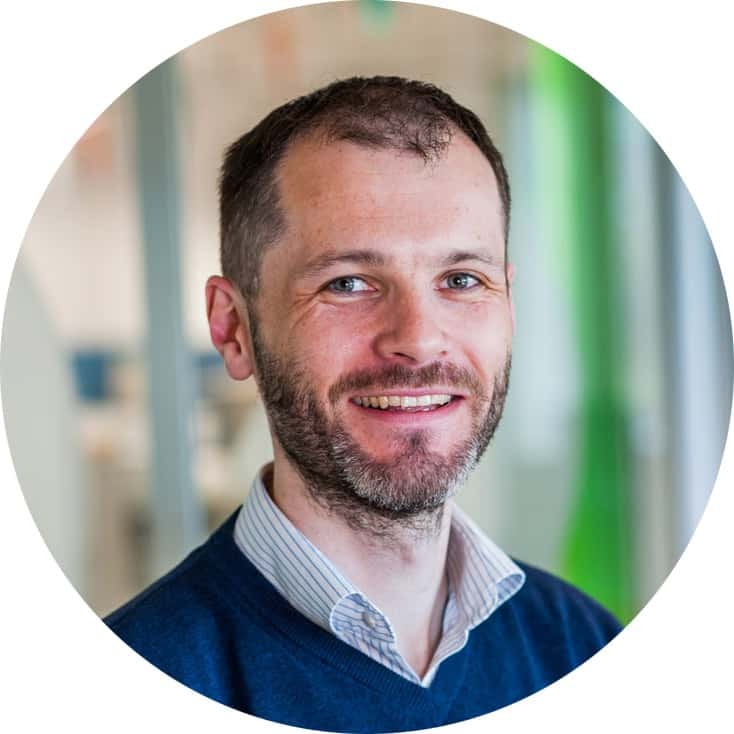 ProWritingAid finds more errors than the inbuilt grammar checker in Word or Google docs, but you still must decide about acting on its suggestions. I also always recommend working with a proofreader before publishing a longer piece of writing like a book. ProWritingAid holds its own compared to other premium grammar checkers in terms of accuracy and ease of use. You won't regret using it to check your writing. I found it slightly slower to use than other grammar checkers like Grammarly. Rather than presenting information in text boxes to the right of my writing, I had to click on individual errors within a document to review the issue. It also doesn't offer a mobile app which may put off those who enjoy writing using an iPad or tablet. I particularly enjoyed the extensive writing reports. These are more detailed than those offered by other grammar checkers. I'm sure they'll appeal to anyone who is editing a draft of an article or book. For example, understanding the length of your sentences and your usage of vague and abstract words will help you learn to self-edit. The most common alternatives are Grammarly, Ginger and WhiteSmoke. I compared all three (and several other tools) to ProWritingAid in this review of the best grammar checker for 2019. In short: ProWritingAid is ideal if you write fiction or use Scrivener. Use the All Repeats report to find words you overuse and replace them with alternatives. Use the clichés report to check your dialogue and polish your sentences. Use the inbuilt dictionary and thesaurus to find better words. Use the readability report to see how long it takes readers to finish your document and how hard it is to understand. That last report is based on the Flesch Reading Ease Score, the world's most well-known readability test for english. The sticky sentences report also deserves special mention. It helps you see how many of your sentences contain glue words, that is words which take up space before a reader can get to your idea e.g. As you can see, ProWritingAid contains lots of insights like these that you can use while editing your articles or book. It's up to you to choose what you want to accept or ignore. If you're unsure, it offers a helpful guide to each type of report and context behind identified errors. This app also has plagiarism checker, a feature that will appeal to students and nonfiction writers. However, you must buy credits to use this tool. 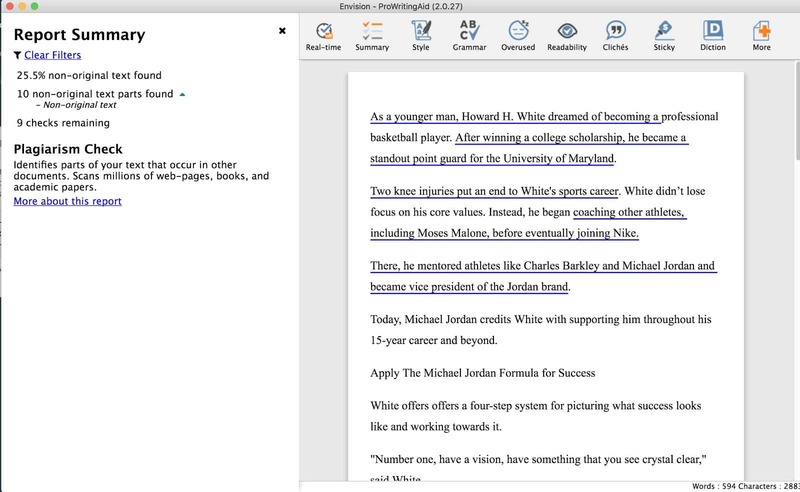 For this ProWritingAid review, I purchased a ten pack and used it with the ProWritingAid desktop app. Then, I checked several book chapters. In case you're worried, I didn't plagiarise while writing my book! However, some chapters in my book are based on articles I wrote for Forbes or published on Medium. I often write articles and then refine my ideas later for a different audience, provided I have the editor's permission. I was pleased to find it passed the test and it presented me with links to my Medium and Forbes articles. This plagiarism checker will appeal to anyone who writes academic essays and also to those who want to scan their work and check it's not being misused elsewhere. It could even help you find citations for non-fiction works if you've forgotten a link or source. ProWritingAid offers a plugin for Chrome. Once installed, the ProWritingAid this plugin checks your writing on the go. Use it to scan emails, social media posts and more for grammar errors. You must install a separate add-in to scan Google documents. 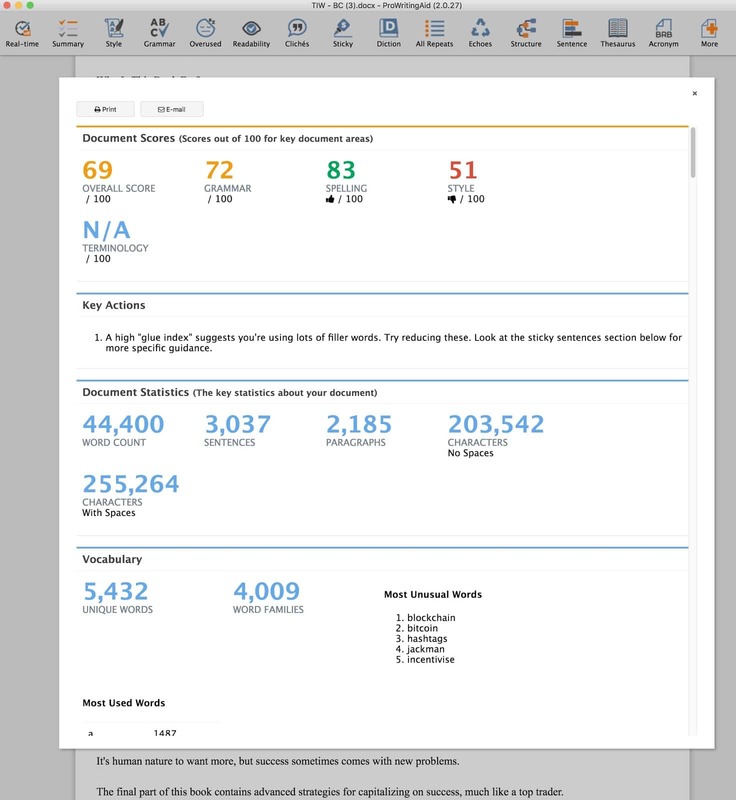 This presents summary reports about your writing. However, I had trouble getting the Google Docs add-on to work properly, despite having a premium license. So, I returned to the desktop ProWritingAid app to write this review. Many indie authors use Scrivener to write their novels. This may explain why ProWritingAid supports Scrivener projects, unlike other grammar checkers. First, open up a Scrivener document in ProWritingAid. Then, it presents the folder structure of your file. Now, navigate to each folder or file within your Scrivener document and fix errors on the go. I haven't come across this feature in other free or premium grammar checkers. If you use Scrivener extensively, you'll find it a real time-saver. You can use ProWritingAid for Word or Outlook by downloading an add-in. Unfortunately, I couldn't test this add-in properly as its Windows only. However, I found a workaround while researching this ProWritingAid review. 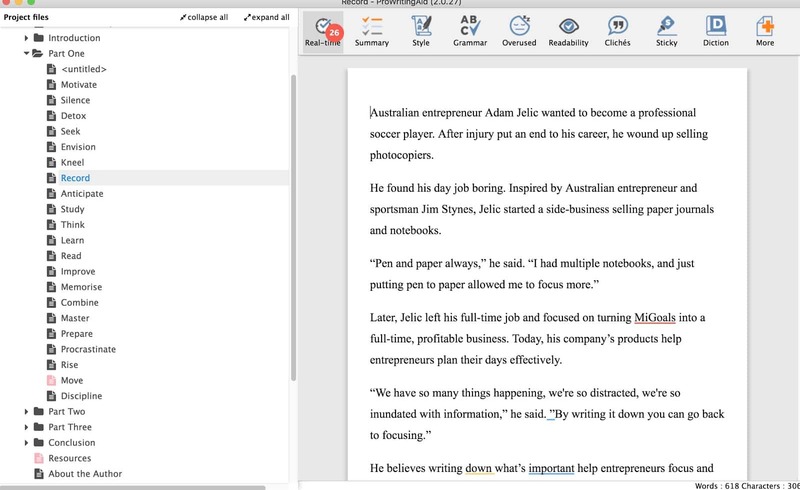 To use it for Word, simply open a Word document with ProWritingAid. It scans your document for errors and grammar mistakes. You can fix these directly in the app and save your changes to the Word document. 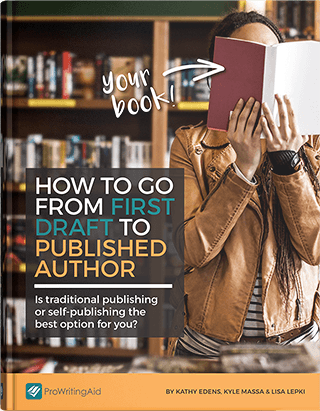 Their team offering a new book: How to Go From First Draft to Published Author: Is Traditional Publishing the Best Option for You? This book will help you decide to go with traditional, indie, or hybrid publishing. 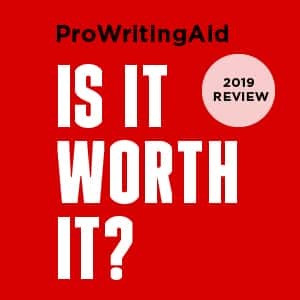 ProWritingAid Review 2019: Is It Worth It? ProWritingAid is worth it if you write fiction extensively. It's the best grammar checker I've tested for fiction writers because of its native support for Scrivener and additional writing reports which other grammar checkers don't offer. It's also worth it if you value additional insights about your writing. If you don't write fiction extensively, ProWritingAid is still a useful grammar checker provided it fits around your writing workflow. Yes it has some quirks, but it's an affordable and accurate grammar checker for most writers. Any writer who edits for a living will also find ProWritingAid a useful tool in their armoury. I absolutely love ProWritingAid. It’s perhaps too robust, but solves so much that Grammarly never had and that it didn’t execute as well during their recent update. It’s crazy too how you can get lifetime access to it. That probably won’t be forever. Thanks for the great write up – I just wanted to concur that I’ve enjoyed using it since getting it.